There are more than 2,500 apps being submitted to the iTunes App Store daily. It’s not too surprising. App stores are the malls of tech world. And if Apple’s App Store is a mall, it’s a huge one: one that is the only mall for the hundreds of millions of iOS users on Earth. 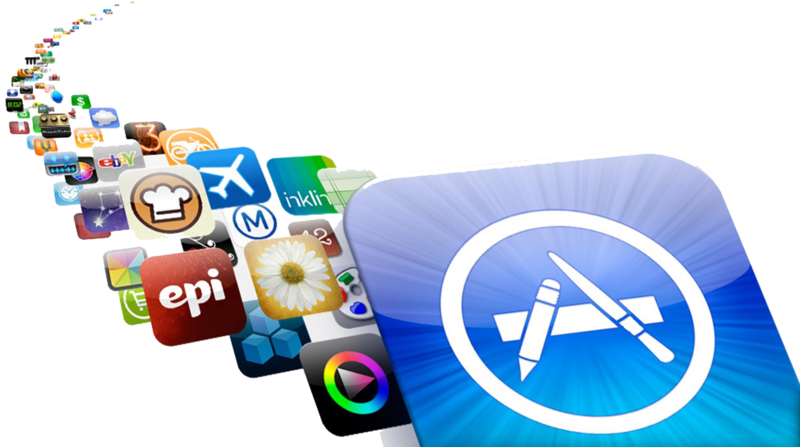 App Store is the only distribution platform for any app that is going to work on your phone. So, in order for an app to make it, it needs to stand out. And Apple has a way of making sure apps can stand out: App Store Features. If an app store is a mall, then the feature is the giant billboard over the mall entrance. Getting your app onto the first page of the App Store is the key to success. In this post, we’ll share 20 ways to get your apps featured on the App Store. To get your app chosen as a feature, it’s helpful to know how apps are chose as features. Because it’s not done by some complicated algorithm–they’re actually hand-picked. Michael Ehrenberg, a former App Store marketing manager, shared how the process works at the Mobile Gaming USA conference. To better serve different countries, Apple actually has 155 app stores, each with a local editorial team. Ehrenberg explained that, each week, the local app store editors determine the best–and most relevant–apps for their specific users. By having humans choose the apps, Apple ensures that the featured apps will be the ones most likely to appeal to local users. As you start crafting a strategy to get your app featured, keep this process in mind. It doesn’t matter how cool your app is; if the editorial team doesn’t think it will speak to local users, it’s not going to be chosen. Make sure your app is really good. Apple has created the App Store so that it can sell things–specifically, great products for iPhone, iPad, and Apple Watch users. And they don’t want low-quality stuff in their mall. To earn Apple’s trust–and to get their seal of approval–make your app great. If you have some popular product features, figure out how you can make them even better. And make sure you’ve eliminated as many bugs as possible. Apple has distinguished itself for a number of reasons. And one of them is definitely design. Just think about the beautiful minimalism of the Apple Watch, led by Jony Ive, and the tiny bits and pixels of iOS interface. Apple wants to advertise apps that fit their aesthetic. So, they’re going to favor apps which prioritize smart, clean design. There are other ways to show that you are dedicated to Apple. Make sure your app works for all iOS products: iPhone, iPad, and Apple Watch. Universal apps align more closely with Apple’s business model, and are therefore another signal that you’re trying to build a good relationship. You have to check if your app it’s compatible with Apple’s aesthetics, compatible with all of Apple’s products and compatible with Apple’s marketing strategy. Incorporate some of Apple’s latest technology into your app, and you have a better possibility of being featured. When Apple wanted to show off the new Apple Pencil at this year’s Worldwide Developers Conference, they used an app: Paper, created by FiftyThree. And, right now, there’s definitely some low-hanging fruit: 3D touch. Integrate that into your app, and you’re upping your chances for a front-page spot. It’s true that you don’t have to use Game Center. But, if you’re a game dev and hoping for a feature, you probably should. Native X’s Ythan Pratt found that 81% of the games featured as “Editors’ Choice” used Game Center. And, of the 19% that did not, almost all were games developed by top game studios–which means that the games already had the advantage of strong brand recognition.Almost 80% of featured games have game center. Why would making my app more niche be what gets me featured to a wider audience? The secret lies in Apple’s model. As we mentioned earlier, there are 155 app stores in the world. Sure, getting featured in the US-version of the App Store is pretty huge. But the other iTunes app stores also attract wide audiences. And, since each local app store team is constantly looking for the best apps for their local users, they’re more likely to choose ones in the native language. If your app is localized, it’s going to give you a huge advantage. In fact, a lot of non-English app stores even have a special section dedicated to awesome apps available in their language. You improve your ratings. Business Insider found that, in 2014-15, apps that earned above-average ratings had a minimum of nine updates per year. And there’s no question that Apple takes into account user ratings when it chooses its features. The update itself can earn you a feature. Apple has a “Best New Updates” section, where it features games that have really upped the awesomeness with their latest updates. On gift-giving holidays, people get new devices. And, when people get new devices, they want new apps. App stores get into the festive spirit too: many create new, holiday-specific feature categories. Trying to get onto these lists should be a no-brainer. Produce seasonal content, or dress your game up with a holiday theme. And we don’t just mean Christmas! Remember Mother’s Day, Thanksgiving, Easter, etc. In fact, don’t even stick to American holidays. Remember that there are app stores all over the world. A Thanksgiving theme might get you some attention in the United States. But, around the same time, don’t forget that China is celebrating the Mid-Autumn Festival with mooncakes. Target specialized markets by incorporating regional festivals–and you just might end with a feature. We keep talking about getting your app featured, but that’s really a means to an end. What you–and Apple–really want is for more people to buy apps. So, let’s say you get featured. People rush to your app listing, and they find a horrible, disorganized page. They’re not going to click the “get” button, and Apple knows this. In order to earn Apple’s attention–and keep it–you’re going to need to brush up your listing page. Optimize your description, attach some nice screenshots, and use your promo wisely. Make your app listing is one that Apple would be happy to promote. It’s pretty simple. Apple likes people who like Apple. Show your love in the promo video, by featuring your app on an Apple device. This is an especially good tactic if your app can support Apple’s latest technology–and you can show it. A feature spot could lead to media coverage…or, media coverage could lead to a feature. Try to get your app mentioned in some of the tech blogs that Apple editors follow: TechCrunch, Mashable, or, for non-US editors, regional tech blogs. If they like what they read, they’re more likely to look for your app in the crowd of the submissions. Local people love to support local apps. And we don’t just mean the ones in their native language–people love to hear that a certain app was developed by an area native, or first conceptualized in a nearby city. Apple editors are aware of this tendency, and they often build features around it. So, if you are a non-American developer, don’t hide your origins; highlight them. Reach out to local tech media (see previous tip), and tell them about yourself. People are the ones choosing the features. So make friends with them. Connect via social media. It’s a lot simpler than cross-country (or international) travel: go to LinkedIn and search “app store manager.” Once you’ve filtered by location, you’ll be able to see the people who are responsible for your target app stores. Connect with them via LinkedIn, or try to get their email addresses through Rapportive or FullContact. We’ve skipped an obvious one: ask Apple directly. You can email them at appstorepromotion@apple.com or appoftheweek@apple.com. They get a lot of these emails. Keep yours short. To stand out, include a great story about your app. Be sure to highlight any Apple-specific features. Ask for any feedback they might have about your app. So you can get a sense of their benchmarks for the future. App stores post new curated lists every Thursday. If you release your app right before then, it won’t have time to get buried in the pile. A Friday release means you have to wait almost a week, and you risk disappearing among the thousands that will come in before they choose again. Apple considers a lot of performance metrics when choosing apps for features. Unsurprisingly, user rating is one of them. So manage your user ratings in a good shape. The App Store feature is dominated by apps with user rating more than 4.0. Apple often curates for specific topics. So, if you can nail a niche topic beautifully, it’s going to ensure that you are on the top of their list when they’re making a relevant feature. Erick Garayblas is a game developer from the Philippines who has gotten two games featured. He recommends focusing on paid apps, rather than trying to stand out in the overcrowded world of free apps. The best way to get featured in the App Store is not to get featured–at least, not too early. If you’re featured early on, your product might not actually be mature enough to keep users interested. Your probably starting with an MVP, which is not comprehensive. Bugs are probably hiding inside a number of your features. Rather than trying to attract a large audience from the beginning, it’s a lot better to start with a small group of users–preferably, personal contacts or loyal users. That way, you can get a manageable and directed amount of feedback, which you can use to make your app better and better. If you get the feature-based fame–and all the downloads–right at the beginning, you’re going to be overwhelmed by user feedback. You’re also going to lose users who aren’t patient enough to stick with your app throughout this growing period. And, once users are gone, they’re not going to come back. You got a feature! Now what? First, congratulations! Now, get moving. Fill in the form as soon as possible, and provide great visuals for the feature banner. Make it as easy as possible for them to get your app on the main screen. And, internally, prepare for the boost that this feature is sure to bring. Keep track of your download stats, be ready to respond to feedback as quickly as possible. Do everything to make sure you’re focused on retaining the users from the boost. If these tips are helpful for you please let us know in the comment section bellow.